Celebrating Festa Junina! | Walk with us! 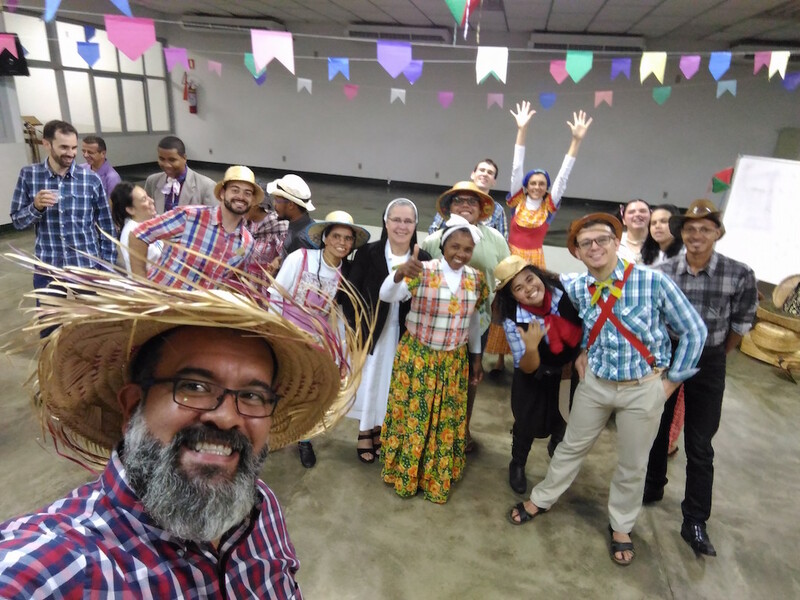 During my time in Brazil doing my pastoral year I have had an incredible experience in many diverse ministries such as parish work, youth ministry, mission in rural areas, and learning about the Dehonian spirituality by sharing time with students in different stages of formation. In addition, I have participated in the Rosary for men and with people at the Institute Saint Jude Thaddeus who have many different needs. But I have also had the opportunity to learn about the amazing and diverse Brazilian culture and gastronomy. Learning a language is not just about communication because it also helps one understand the culture and traditions of the people who speak it. And this is what has happened to me as I have been submerged in a rich and beautiful mix of religious and popular traditions that are all very important for the Brazilian people. 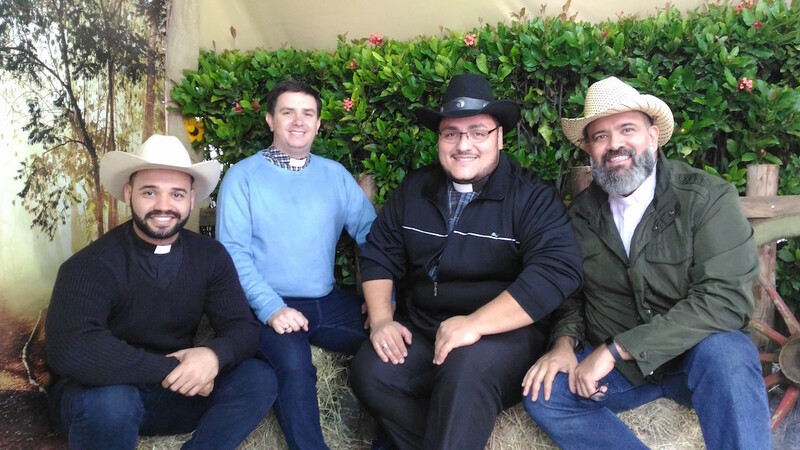 Recently I had the opportunity to participate in Festa Junina (June Fest) which featured a far-ranging display of music, dance, food, costumes, friendship, bonfires and fraternization. For many people this is a month each year that they look forward to with great expectations. I had thought the biggest event in Brazil each year was the Carnival in Rio de Janeiro. But I was amazed to learn how much everyone looks forward to celebrating June Fest. There is no clear explanation about the origin of this feast. One theory is that it originated as a way to celebrate the three Catholic religious feasts that occur in the month of June honoring Saint John the Baptist, Saint Peter, and Saint Anthony. However, historians say that this feast was brought to Brazil by the Portuguese during the colonial period. What is clear is the importance of this festive occasion for people here in Brazil. As I took part in celebration of this feast in the Institute Saint Jude Thaddeus in Sao Paulo, I was mesmerized by the participation of the people in this event and of course I loved the food. But I also had the opportunity to share this celebration with the novices from our congregation and other religious communities in the city of Barretos. I was also impressed with how they lived their culture with joy and fraternity. Wearing some costumes and typical clothes for this festival they celebrated their culture in their own way. This was a beautiful experience because it was a good reminder about how authentic our response to God’s call can be by keeping alive our traditions and our hearts full of joy. I know that wherever I go I will be exposed to new cultures and traditions which I embrace with love. But I also know that wherever God leads me, I will bring with me my own essence and will keep my own traditions and culture as a Colombian. Because I am sure that those are gifts that I can share with everyone. It is true that the call to religious life has some sacrifices and we have to renounce many things. But we do not give up the essence of our personalities because that is what makes us who we are. And it was because of our uniqueness that God called us to follow him. As I continue learning about the Dehonian ministry and mission in Brazil, I am also learning about its amazing culture and its traditions which are full of color and joy. This entry was posted in Frater Juan Carlos Castañeda Rojas. Bookmark the permalink.